MDC president Professor Welshman Ncube will not contest for any position in the forthcoming elections and will only help co-ordinate and campaign for his party candidates and MDC-Alliance presidential candidate, Mr Nelson Chamisa. The move by Prof Ncube has raised questions on his relevance, post-elections as he is the only party principal in the alliance who is not gunning for a seat. MDC-T president Mr Chamisa is the alliance's presidential candidate while other principals are standing as either MPs or Senators in the seats that have been reserved for their parties. The MDC Alliance is made up of seven political parties, MDC-T, which is led by Mr Chamisa, PDP (Mr Tendai Biti), MDC (Professor Welshman Ncube), Transform Zimbabwe (Mr Jacob Ngarivhume), Zanu Ndonga (Mr Denford Musiyarira), Multi-Racial Christian Democratic Party (Mr Mathias Guchutu) and Zimbabwe People First (Retired Brigadier-General Agrippa Mutambara). 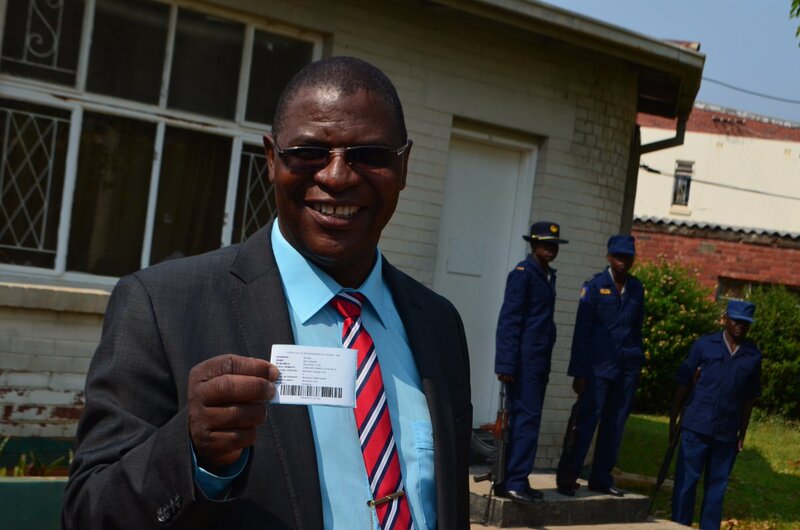 In an interview on Friday, Prof Ncube said he was not contesting for any position in the forthcoming elections. "I am certainly not contesting. I think you have seen that the MDC has published its list of the candidates for the National Assembly and my name is not there so that tells you I am not running for the National Assembly seat nor am I running for Senate nor the Proportional Representation. So you will not find my name in any of them," he said. Prof Ncube also said he was not angling to become a deputy to Mr Chamisa as he was already a leader of a party - MDC. "I am already one of the seven principals in the alliance so why should I be a deputy?" he said. The alliance has also been dogged by power struggles resulting in the parties failing to come up with neutral colours and symbols to use for the campaigns. In Kenya, the National Super Alliance (Nasa) formed by opposition political parties led by Mr Raila Odinga adopted a single colour branding with all the parties in the coalition dropping their respective regalia. Prof Ncube, who is also the alliance's spokesman said campaign regalia will be in two forms — red for the presidential campaigns and respective party colours for other campaigns such as Parliamentary and Senatorial. MDC-T's brand colour is red while MDC-N is branded in green, PDP's colours are orange, Transform Zimbabwe (blue), ZimPF (white) while Zanu-Ndonga does not have defined party colours. "The presidential campaign material, that is to say the t-shirts, berets, posters and pamphlets, will obviously be branded in red, the colour of the MDC-T where our presidential candidate is coming from. In respect of our candidates' campaign at Parliamentary level as well as at ward level, the candidates and the parties are at liberty to use all of the seven colours of the alliance," he said. The alliance is also grappling to consolidate the ideas from the seven parties to come up with a manifesto. Other major players in the coming elections, Zanu-PF and the MDC formation led by Dr Thokozani Khupe, have already launched their manifestos. Prof Ncube said the alliance had put in place a policy and research committee that was spearheading the process of coming up with the party's manifesto. He was, however, non-committal on when the alliance planned to launch its election manifesto. "We have a policy and research committee which is chaired by Tendai Biti. That committee in consultation with the other committees and the principals has been working on two documents. The first document is a comprehensive detailed policy document. That committee is also working on the second document, which is an abridged version of the bigger document which will become the manifesto that we are going to launch and present. So at some point in the next few weeks we will set a date for the launch of the two documents, the comprehensive policy document and the manifesto. So it is work in progress, which we hope to complete as soon as possible and hopefully before an election is proclaimed," he said. The MDC Alliance has threatened to crack on several occasions, with Transform Zimbabwe leader Mr Ngarivhume at some point threatening to quit the coalition over allocation of Parliamentary seats among the seven political parties. Reports have indicated that MDC-T was also selecting candidates in seats that are already reserved for other parties.